Baby steps with the pics, lol. 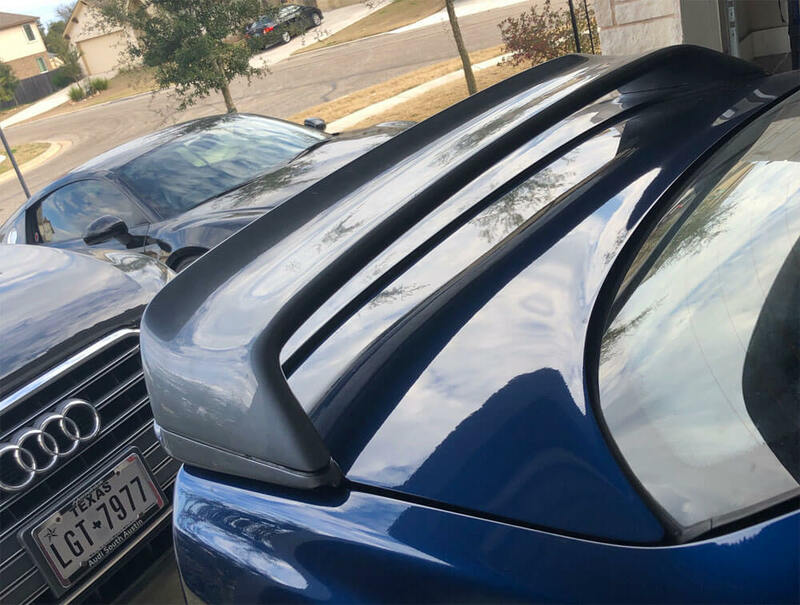 Just unboxed the OEM GT wing I won from ViolentM3 on IG. Again, not sure if he's on here but if he is, thanks man! Not sure when I'll take this to get painted but I'm super stoked on it! I’ve had issues with that guy before but pretty cool he’d raffle off his own rare parts. What charity did the proceeds go to? Yeahhhh....I'm still trying to learn all the variations of everything...and I made about 3 thousand mistakes in my video, lol. Ooooh well...live and learn...and I have Brett to make fun of me and my newbiness for a while, lol. Sidenote, turns out the base of the wing is for a sedan...so there's that too, lol. If anyone has a coupe base, hit me up! Ya know...I didn't ask and I don't want to know, lol. I'm assuming you're asking because a 'raffle' has to be for charity, right? I belive there are legal steps one must take to hold a lottery. IG and Youtube are rampant with this though. "A donation has been made in your name to The Human Fund"
Just got done installing the new brake lines. Time to go bed them in and see what these ST Coilovers feel like! Sup everyone! Been a while since I posted in this thread...I'm horrible with pics, my bad! I just got done putting my interior back together and had new speakers installed. While that was being done, I had my Continental head unit installed as well. I know a few guys had questions about that unit, so I wanted to let you know a few things about it. Again, from my limited experience, this is really weird it doesn't come with a harness for the radio. Besides that, I love the deck. The audio guy I used said it doesn't have enough power to really utilize the new speakers he put in. He replaced all the speakers but the little "sub" in the passenger kick panel area. Apparently that's a really weird size that's hard to find. To me, it sounds good enough. He wants to install an amp and a 10" sub...but I really don't care that much about audio to do that. All times are GMT. The time now is 06:29:55 PM.